My thanks to Dorothy M., for kindly sharing her information. 1) Richard Masingham b. c1718 of Haslemere Surrey. Married 7 Aug 1743 Haslemere Surrey to: Mary White b. c1722 of Hethly [Headley] Surrey (reg.). 2) Richard Missingham. Married 22 Jul 1768 Headley Hampshire to: Mary Cane. Mary Cane, nee Patrick, was the widow of John Cane, whom she married 3 Oct 1753, in Linchmere Sussex. John Cane was buried 29 Apr 1767. It may possible that the second marriage is that of a son to the first Richard, although no baptism records can be found. Two Richards are buried in Headley: 30 Oct 1784 and 30 Apr 1787, but sadly, no ages are given. Mary MISSINGHAM, baptised 17 May 1746 - Headley Hampshire. Anne MISSINGHAM, baptised 4 Jun 1748 - Headley Hampshire. William MISSINGHAM , baptised 1 Mar 1750 - Headley Hampshire. Hannah MISSINGHAM, baptised 4 May 1754 - Headley Hampshire (reg.). John MISSINGHAM , baptised 25 Jul 1755 - Headley Hampshire (reg.). Thomas MISSINGHAM , baptised 22 Jul 1758 - Headley Hampshire. Daniel MISSINGHAM, baptised 3 Oct 1761 - Headley Hampshire. Jenny MISSINGHAM, baptised 7 Oct 1768 - Headley Hampshire. Hannah MISSINGHAM, baptised 8 Oct 1773 - Headley Hampshire. William MISSINGHAM ( Richard ) was baptised 1 Mar 1750. He married Lucy BIDE 4 Dec 1780 in Headley Hampshire. Mary MISSINGHAM, baptised 1 May 1782, buried 4 May 1782 - Headley, Hampshire. Lucy MISSINGHAM, baptised 5 Dec 1783 - Headley, Hampshire. William MISSINGHAM, baptised 19 Oct 1786 - Headley, Hampshire. Elizabeth MISSINGHAM, baptised 5 Jan 1790 - Headley, Hampshire. Mary MISSINGHAM, baptised 23 Jun 1792 - Headley, Hampshire. Ann MISSINGHAM, baptised 14 Aug 1796 - Headley, Hampshire. John MISSINGHAM ( Richard ) was baptised 25 Jul 1755 in Headley Hampshire. He died aged 68 at Fulluers Bottom (Headley), and was buried in Headley 13 Apr 1824. He married Mary WHITE 2 May 1790 in Headley Hampshire (reg.). John MISSINGHAM, baptised 25 Jul 1790 - Headley, Hampshire. Richard MISSINGHAM, baptised 17 Mar 1792 - Headley, Hampshire. Daniel MISSINGHAM, baptised 24 Jun 1794 - Headley, Hampshire. Thomas MISSINGHAM, baptised 14 May 1797 - Headley, Hampshire. William MISSINGHAM, baptised 2 Mar 1800 - Headley, Hampshire. James MISSINGHAM, baptised 28 Mar 1802 - Headley, Hampshire. David MISSINGHAM, baptised 25 Mar 1804 - Headley, Hampshire. Mary MISSINGHAM, baptised 8 May 1808 - Headley, Hampshire. Thomas MISSINGHAM ( Richard ) was baptised 22 Jul 1758 in Headley Hampshire. Anne MISSINGHAM ( William - Richard) was baptised 14 Aug 1796 in Headley, Hampshire. She married widower Edward CANNONS 14 Oct 1822 in Rogate, Sussex [pr]. Their children were born and baptised in Petersfield, Hampshire. John MISSINGHAM ( John - Richard) was baptised 25 Jul 1790 in Headley, Hampshire. He was buried 21 Jul 1841 Parish of St. Peter Campbelltown, Cumberland N.S.W. Australia. He married Jane ANNETT 10 Feb 1812 in St Luke Old Street, Finsbury London. She was baptised 4 May 1791 in Headley, Hampshire, the daughter of Henry and Jane (nÃ©e Collins). She was buried 12 Apr 1820, aged 29, in Headley. Daniel MISSINGHAM, baptised 21 Feb 1813 - Headley, Hampshire. John MISSINGHAM, baptised 4 Jun 1815 - Headley, Hampshire. William MISSINGHAM, baptised 22 Feb 1818 - Headley, Hampshire. George MISSINGHAM, baptised 12 Mar 1820 - Headley, Hampshire. Richard MISSINGHAM ( John - Richard) was baptised 17 Mar 1792, Headley Hampshire. He died 1828 in NSW Australia. He married Hannah CHANDLER 25 Dec 1818 in Frensham Surrey. NB:Surname at time of baptism was Missingham. Eliza MESSINGHAM, baptised 9 Apr 1820 - Headley, Hampshire. Daniel MESSINGHAM, baptised 23 Dec 1821 - Headley, Hampshire. Mary Ann MESSINGHAM, baptised 12 Oct 1823 - Headley, Hampshire. Maria MESSINGHAM, baptised 30 Jan 1825 - Headley, Hampshire. Charles MESSINGHAM, baptised 21 Jun 1828 - Headley, Hampshire. Henry MESSINGHAM, baptised 3 Jan 1830 - Headley, Hampshire. Stephen MESSINGHAM, baptised 16 Feb 1834 - Headley, Hampshire. George MISSINGHAM ( John - John - Richard) was baptised 12 Mar 1820 in Headley, Hampshire. He married Sophia MARSHALL 2 May 1844 in Headley, Hampshire. Mary Ann MESSINGHAM, baptised 25 Feb 1844 (as Marshall) - Headley, Hampshire. Sarah MESSINGHAM, baptised 11 Aug 1845 - Headley, Hampshire. Ann MESSINGHAM, baptised 17 Jan 1847 - Headley, Hampshire. Harriet MESSINGHAM, baptised 2 Oct 1849 - Headley, Hampshire. Jane MESSINGHAM, baptised 10 Oct 1851 - Headley, Hampshire. George MESSINGHAM, baptised 4 Dec 1853 - Headley, Hampshire. Elizabeth MESSINGHAM, baptised 24 Jun 1855 (as Eliza) - Headley, Hampshire. John MESSINGHAM, baptised 4 Apr 1858 - Headley, Hampshire. Kate MESSINGHAM, baptised 17 Jun 1860 - Headley, Hampshire. William MESSINGHAM, baptised 4 May 1862 - Headley, Hampshire. Henry MESSINGHAM, baptised 3 Jul 1864 - Headley, Hampshire. Daniel MESSINGHAM ( Richard - John - Richard ) was born c1821, and baptised (Missingham) 23 Dec 1821, Headley Hampshire. He died at Deadwater Headley, and was buried 27.Jan.1900 Headley Hampshire. He married Mary HARRIS 26 Nov 1848. She died June 1854 in Whitmore Bottom (Headley), and was buried 26.Jun.1854 in Headley Hampshire. After Mary's death, he married Anne SPOONER 26 Apr 1857 in Headley Hampshire. William MISSINGHAM, baptised 24 Dec 1848 - Headley Hampshire. Died 1859 Fareham Hampshire. Anne MESSINGHAM, born June 1854,baptised 13 Aug 1854, and buried 25 Mar 1855 (Missingham), Headley Hampshire. George MESSINGHAM born 22 Sep 1857(cert.) - Headley Hampshire. Mary Anne MESSINGHAM, born 30 Sep 1859(cert.) - Headley Hampshire. James MISSINGHAM, baptised 19 Jan 1862, and buried aged 19 18 Dec 1880 - Headley Hampshire. John Edgar MESSINGHAM, baptised 25 Oct 1863 - Headley Hampshire. Frances Keziah MESSINGHAM, baptised 4 Mar 1866 - Headley Hampshire. Eliza MESSINGHAM, baptised 7 Jun 1868 - Headley Hampshire. Fred MESSINGHAM, baptised 6 Mar 1870 - Headley Hampshire. Sarah May MESSINGHAM, baptised 31 May 1874 (as Sarah Mary) - Headley Hampshire. Henry MISSINGHAM ( George - John - John - Richard) was born 19 Jun 1864, and baptised 3 Jul 1864 in Headley, Hampshire. He died 2 Mar 1896 in Farnborough, Hampshire. He married Mary Ann HUNT 12 May 1888 in Headley, Hampshire. She was born 8 Mar 1864 in Headley, Hampshire. She died 14 Dec 1932 in Farnborough, Hampshire. Annie MESSINGHAM, born 1888 - Headley, Hampshire. Mary Ann MESSINGHAM, born 1890 - Headley, Hampshire. Henry George MESSINGHAM, born 1894 - Aldershot, Hampshire. William MESSINGHAM, born 1896 - Aldershot, Hampshire. George MESSINGHAM (Daniel - Richard - John - Richard ) was born 22.Sep.1857 Parish House Headley (cert). He was buried 2.Jun.1928 in Hampton Cemetery, Hampton Middlesex. He married Eliza Emma HOPGOOD 25.Jul.1885, St. Mary's Parish Church, Hampton Middlesex (cert). George William MESSINGHAM, born 1886 - Hampton, Middlesex. Thomas James MESSINGHAM, born 1888 - Hampton, Middlesex. Frederic MESSINGHAM, born 1890 - Hampton, Middlesex. Mary Ann MESSINGHAM, 1892 - Hampton, Middlesex. John MESSINGHAM, born 1894 - Hampton, Middlesex. Henry Richard MESSINGHAM, born 1895 - Hampton, Middlesex. Charles Daniel MESSINGHAM, born 1897 - Hampton, Middlesex. Frank MESSINGHAM,born 1899 - Hampton, Middlesex. Alfred MESSINGHAM, born 5.Apr.1901 - Hampton, Middlesex. Arthur MESSINGHAM, born 1902 - Hampton, Middlesex. John Edgar MESSINGHAM ( Daniel - Richard - John - Richard ) was baptised 25 Oct 1863 in Headley, Hampshire. He married Mercy HAYDEN 13 Jul 1884 at St Andrew's, Plymouth Devon. Beatrice Mercy MESSINGHAM, born 1888 - Hampton, Middlesex. Alfed John MESSINGHAM, born 1890 - Hampton, Middlesex. Emily Elizabeth MESSINGHAM, born 1891 - Kingston, Surrey. Annie Louisa MESSINGHAM, born 1894 - Kingston, Middlesex. Ellen Florence MESSINGHAM, born 1898 - Kingston, Surrey. Ada Lucy MESSINGHAM, born 1899 - Kingston, Surrey. Frederick Arthur David MESSINGHAM, born 1903 - Kingston, Surrey. Lily May MESSINGHAM, born 1905 - Kingston, Surrey. Bessie MESSINGHAM, born 1908 - Kingston, Surrey. George William MESSINGHAM ( George - Daniel - Richard - John - Richard ) was born 24 May 1886 in Hampton Middlesex, and baptised 1 Aug 1886 St. Mary's, Hampton Middlesex. He married in 1909. Thomas James MESSINGHAM ( George - Daniel - Richard - John - Richard ) was born 14 Dec 1887 in Hampton Middlesex, and baptised 19 Feb 1888 St. Mary's, Hampton Middlesex. He was buried, aged 63 years, 8 Mar 1951, Hampton Cemetery. Frederic MESSINGHAM ( George - Daniel - Richard - John - Richard ) was born 27 Dec 1889 in Hampton Middlesex, and baptised 16 Feb 1890 St. Mary's, Hampton Middlesex. He died (killed in action) aged 27 in India, and his memorial is at Kirkee Cemetery India, Memorial Face 6. Frederic(k) was a corporal in the Essex Regiment, 2nd Garrison Battalion. The 2nd Garrison Battalion was formed in Halton Park in January 1916. Mary Ann MESSINGHAM ( George - Daniel - Richard - John - Richard ) was born 13 Jun 1892 in Hampton Middlesex, and baptised 24 Jul 1892 St. Mary's, Hampton Middlesex. She was buried, aged 10 months, 29 Apr 1893, Hampton Cemetery. John MESSINGHAM ( George - Daniel - Richard - John - Richard ) was born 22 Mar 1894 in Hampton Middlesex, and baptised 19 Apr 1894 St. Mary's, Hampton Middlesex. Henry Richard MESSINGHAM ( George - Daniel - Richard - John - Richard ) was born 6 Oct 1895 in Hampton Middlesex, and baptised 27 Jan 1896 St. Mary's, Hampton Middlesex. He was buried, aged 60 years, 19 Dec 1955, Hampton Cemetery. [Richard] Henry joined the Oxford and Buckingham Light Infantry in 1915 (resident at 33 Malvern Road, Hampton Middlesex), and served in France (from July 1915), and obtained the medals: Victory, British and 1915 Star. Charles Daniel MESSINGHAM ( George - Daniel - Richard - John - Richard ) was born 30 Jan 1897 in Hampton Middlesex, and baptised 25 Feb 1897 St. Mary's, Hampton Middlesex. He was buried, aged 4 months, 12 Jun 1897, Hampton Cemetery. Frank MESSINGHAM ( George - Daniel - Richard - John - Richard ) was born 14 Oct 1899 in Hampton Middlesex, and baptised 11 Nov 1899 St. Mary's, Hampton Middlesex. He was buried, aged 5 months, 31 Mar 1900. Alfred MESSINGHAM ( George - Daniel - Richard - John - Richard ) was born 5.Apr.1901 in Hampton Middlesex, and baptised 4 May 1901 St. Mary's, Hampton Middlesex. He died 3 Dec 1956. He married Emily Rose MAJOR 10 Aug 1933. Alfred MESSINGHAM born 28 Nov, and died 29 Nov 1933 - Middlesex. 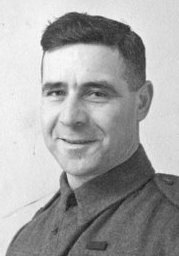 Arthur MESSINGHAM ( George - Daniel - Richard - John - Richard ) was born 26 Aug 1902 in Hampton Middlesex, and baptised 30 Sep 1902 St. Mary's, Hampton Middlesex. He was buried, aged 3 months, 29 Nov 1902. Beatrice Mercy MESSINGHAM ( John Edgar - Daniel - Richard - John - Richard ) was born 3 Jul 1888 in Hampton Middlesex, and baptised 5 Aug 1888 St. Mary's, Hampton Middlesex. She married in 1908. Alfred John MESSINGHAM ( John Edgar - Daniel - Richard - John - Richard ) was born 17 Dec 1889 in Hampton Middlesex, and baptised 12 Jan 1890 St. Mary's, Hampton Middlesex. He married Catherine M. WHITE in 1914. Emily Elizabeth MESSINGHAM ( John Edgar - Daniel - Richard - John - Richard ) was born in 1891, Kingston Surrey. She married Albert J.C. TORNEY in 1914. Annie Louisa MESSINGHAM ( John Edgar - Daniel - Richard - John - Richard ) was born in 1894, Kingston Surrey. She may have been the Annie L. who married Joseph TAYLOR in 1918. Ellen Florence MESSINGHAM ( John Edgar - Daniel - Richard - John - Richard ) was born in 1898, Kingston Surrey. She married John CLARUDGE in 1921. Ada Lucy MESSINGHAM ( John Edgar - Daniel - Richard - John - Richard ) was born in 1899, Kingston Surrey. She married George TUCKER in 1930. Frederick Arthur David MESSINGHAM ( John Edgar - Daniel - Richard - John - Richard ) was born 18 Jan 1903, in Kingston Surrey. He married Emily Mildred DUNKLEY in 1925. Lily May MESSINGHAM ( John Edgar - Daniel - Richard - John - Richard ) was born 12 Oct 1905, in Kingston Surrey. Bessie MESSINGHAM ( John Edgar - Daniel - Richard - John - Richard ) was born 20 May 1908, Kingston Surrey. W.A. MESSINGHAM ( Alfred - George - Daniel - Richard - John - Richard ) was born in Middlesex. He married B. WINDAYBANK in Middlesex. J.W. MESSINGHAM was born in Middlesex. T.L. MESSINGHAM was born in Middlesex. Thomas MISSINGHAM was born c.1809, Blackwater Hampshire, and died in 1889 (reg. district Midhurst). He married Lucy WHITE 9 Sep 1838 in Frensham Surrey. Anne MESSINGHAM, baptised 20 May 1840 - Bramshott, Hampshire. Charlotte MESSINGHAM, baptised 4 Apr 1841 - Bramshott, Hampshire. Thomas MESSINGHAM, baptised 12 Nov 1843 - Bramshott, Hampshire. William MESSINGHAM, baptised 10 May 1846 - Bramshott, Hampshire. Sarah Ann MESSINGHAM, baptised 10 Sep 1848 - Bramshott, Hampshire. Caroline MESSINGHAM, baptised 23 Feb 1851 - Bramshott, Hampshire. Henry MESSINGHAM, baptised 23 Jan 1853 - Bramshott, Hampshire. George MESSINGHAM, baptised 17 Jun 1855 - Bramshott, Hampshire. Eliza MESSINGHAM, baptised 20 Sep 1857 - Bramshott, Hampshire. Alice MESSINGHAM, baptised 13 Nov 1859 - Bramshott, Hampshire. Emma MESSINGHAM, baptised 4 Jan 1863 - Bramshott, Hampshire. Elizabeth Lucy MESSINGHAM, baptised 26 Jan 1868 - Tuxlith or Milland, Sussex. Thomas MESSINGHAM (Thomas) was baptised 12 Nov 1843 in Bramshott, Hampshire, and died in 1908 (reg. district Hambledon). He married Eliza MOSELY 25 Dec 1869. Thomas George MESSINGHAM, born 1870 - Chithurst, Sussex. Eliza Lucy MESSINGHAM, born 1873 - Chithurst, Sussex. William James MESSINGHAM, born 1877 - Chithurst, Sussex. Emily MESSINGHAM, born 1880 - Chithurst, Sussex. Rose MESSINGHAM, born 1882 - Chithurst, Sussex. William MESSINGHAM (Thomas) was baptised 10 May 1846 in Bramshott, Hampshire. He married Elizabeth HOLDER 7 Aug 1876 in Iping Sussex. 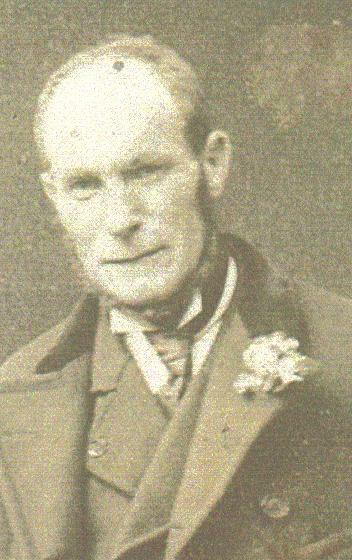 Thomas William MESSINGHAM, born 1877 - Sussex. George MESSINGHAM, born 1879 - Sussex. Harriet Sarah MESSINGHAM, born 1880 - Sussex. Horace MESSINGHAM, born 1883 - Sussex. Charlotte M. MESSINGHAM, born c.1885 - Sussex. Walter MESSINGHAM, born 1888 - Hampshire. Elizabeth MESSINGHAM, born 1890 - Surrey. Henry MESSINGHAM (Thomas) was baptised 23 Jan 1853 in Bramshott, Hampshire. He married Caroline HOLDER 9 Aug 1874 in Iping Sussex. Alfred Henry MESSINGHAM, born 1875 - Sussex. Sarah Ann MESSINGHAM, born 1877 - Sussex. Clara Alice MESSINGHAM, born 1878 - Sussex. Caroline Jane MESSINGHAM, born 1882 - Sussex. George MESSINGHAM (Thomas) was baptised 17 Jun 1855 in Bramshott, Hampshire. He married Elizabeth KNIGHT in 1878.